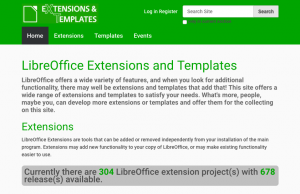 Berlin, December 14, 2016 – The Document Foundation announces the new Extensions & Templates website, which offers an improved user experience to both developers and end users: https://extensions.libreoffice.org. The resource is now based on the latest version of the Plone open source Content Management System, and has been both coordinated and developed by Andreas Mantke, deputy member of the board at The Document Foundation. “Two of LibreOffice’s most distinctive characteristics are the possibility of adding features through extensions, and improving quality and consistency of documents thanks to templates”, says Andreas Mantke. “After six years, we decided to refresh the existing resource, to make it easier for developers to upload their files, and for end users to search and download them. I’d love to see an increasing number of contributors uploading extensions and templates”. 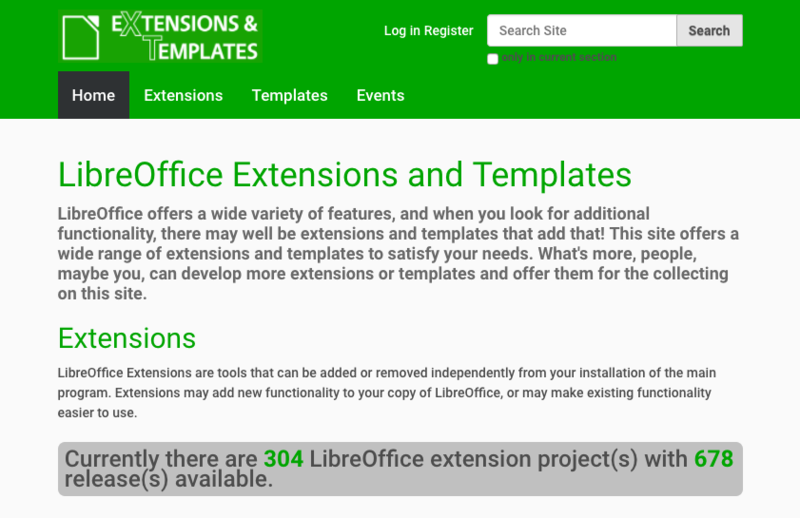 LibreOffice Extensions & Templates website offers 304 extensions, with 678 different releases, and 339 templates, with 376 releases. The three most popular extensions are: “Clipart gallery of danger signs”, “Copy only visible cells” and “LanguageTool”. The three most popular templates are: “Personal Budget Template”, “Simple FAX Template” and “LibreOffice Presentation Templates”. A large number of available resources have been contributed by end users.